Most C-level executives I speak to are either planning a digital strategy or in the process of implementing one. It’s easy to see why this is such a priority for the board; improved collaboration, decision-making, and customer satisfaction will inevitably lead to increased profits. However, few organizations have a handle on the risks associated with digital transformation. According to the Ponemon Institute, 72% of leaders agreed the rush to digital transformation increases data breach and cybersecurity risks. Our latest paper delves into these challenges, and outlines a framework for reducing digital risk. Digital transformation touches all aspects of the business, and every new technology, connection, or application results in increased attack surfaces and exposed sensitive data. Accompanied by a more acute threat, this transformation frequently leads to negative business impacts. However, we’ve been trying to tackle these new risks with yesterday’s tools and processes. A physical network no longer determines the organization’s boundary; the very data organizations seek to protect is spread across social media, mobile devices, and the cloud. Furthermore, it’s not just the organization that can expose this information; third parties are a common point of data exposure. This issue is exacerbated further still by shadow IT and the digital risks present in organizations’ lengthening supply chains. With only 29% of organizations having sufficient visibility into their attack surface, it’s little surprise that data breaches occur with a worrying regulatory. Adversaries will make use of your online exposure; using exposed credentials to conduct account takeovers, leveraging intellectual property to conduct corporate espionage, impersonating your brand to launch phishing attacks, and exploiting vulnerabilities in your external infrastructure. 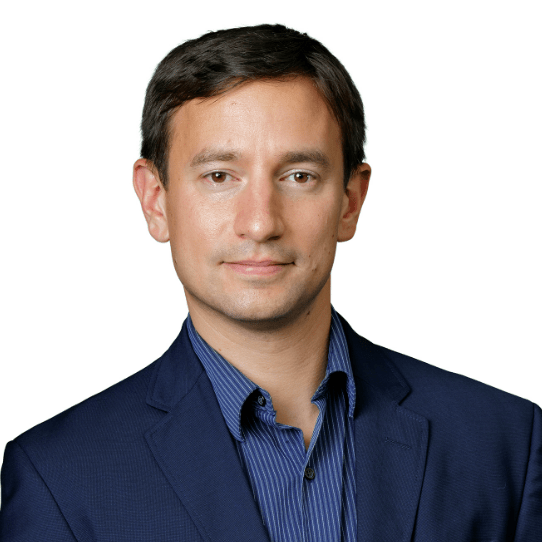 In turn, this leads to the loss of revenue, damaged reputation or competitive disadvantage. How can we manage these digital risks? If organizations want to manage the risks that accompany digital transformation initiative, they need to gain visibility beyond their traditional perimeter. 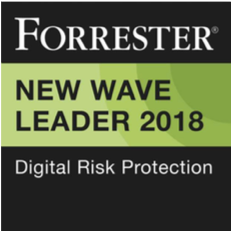 By focusing on detecting data loss, securing the online brand, and reducing the attack surface, organizations can begin to quantify and manage these digital risks. This is best achieved by taking a four-staged approach: identifying key assets, understanding threat to your business, monitoring for unwanted exposure, and taking action to protect your assets. If you have a digital strategy, managing digital risk must be a requirement. 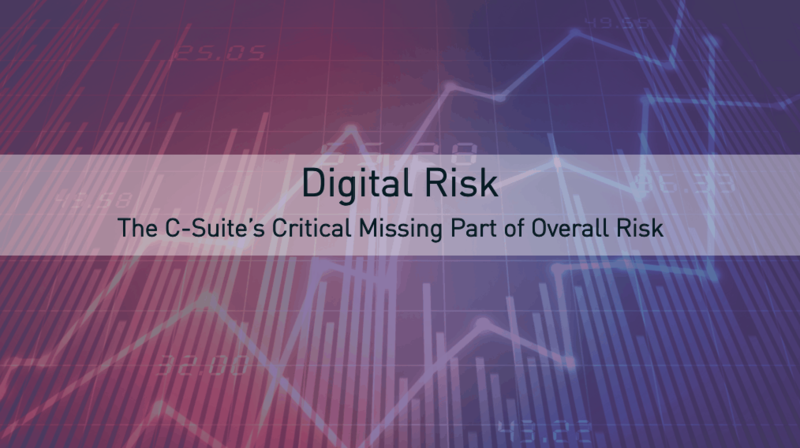 Check out our new paper, Digital Risk: The C-Suite‘s Critical Missing Part of Overall Risk, to learn about how you can reduce digital risk.